Item number 424/10 from the MOA: University of British Columbia. 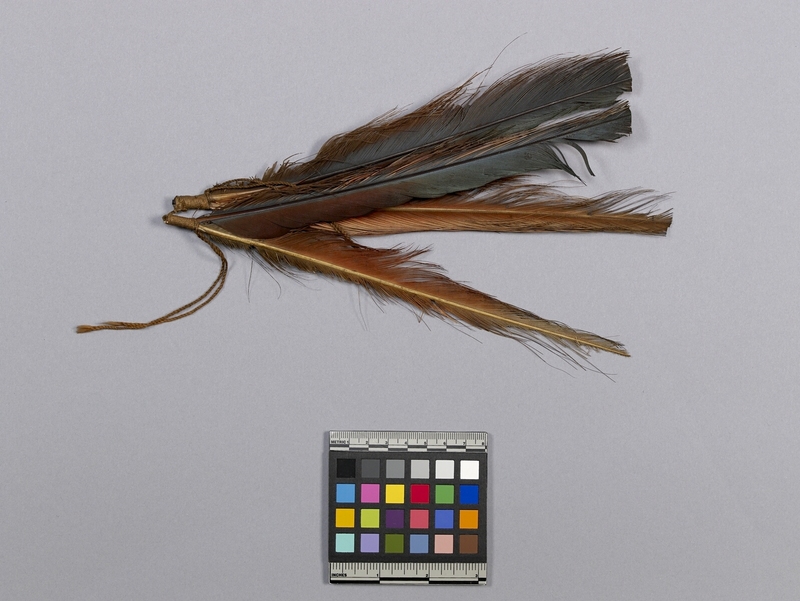 Feathered ornament consisting of four brown and orange feathers bound together in sets of two with fibre twine; two sets of two pieces of twine hang from the ends. The two sets of feathers are then held together with a thick piece of twine. The feathers are placed in a way to create a triangle-like shape.